If you liked Nightmare Abbey you might like these books. 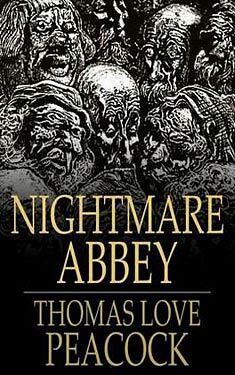 Nightmare Abbey is a Gothic topical satire in which the author pokes light-hearted fun at the romantic movement in contemporary English literature, in particular its obsession with morbid subjects, misanthropy and transcendental philosophical systems. Most of the characters in the novel are based on historical figures whom Peacock wishes to pillory. Insofar as Nightmare Abbey may be said to have a plot, it follows the fortunes of Christopher Glowry, Esquire, a morose widower who lives with his only son Scythrop in his semi-dilapidated family mansion Nightmare Abbey, which is situated on a strip of dry land between the sea and the fens in Lincolnshire.